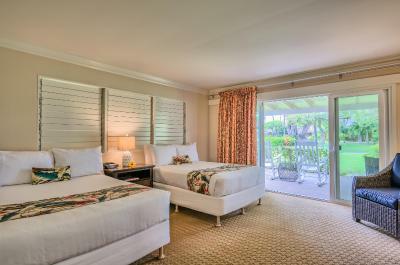 Lock in a great price for Royal Lahaina Resort – rated 8.2 by recent guests! The buffet was amazing. It was just a bit much (price-wise & quantity-wise) for everyday. But we indulged one late morning and were very happy. 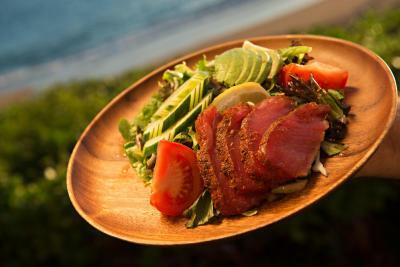 The food was fabulous, the view was amazing, the staff was gracious. All in all; it was a memorable morning breakfast. Wonderful grounds and facilities. Excellent food. We spent almost every day on the beach. The water at this location is very calm and great for snorkeling or just peacefully floating the day away. Also saw turtles and whales! 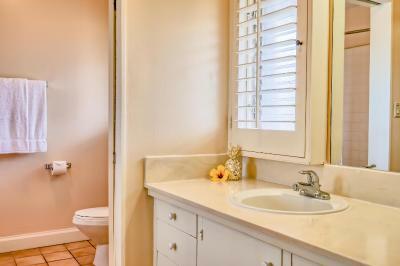 The cottages are great for families. We cooked almost every night and really enjoyed hanging out on our deck. Beautiful view, delicious food at restaurant, great service, comfy bed, housekeeping was amazing, ample parking, friendly and helpful staff too! Beautiful grounds, very nice room, right next to the beach, and wonderful bar and restaurant. The staff are very friendly and professional. Can’t wait to come back! The location was awesome. Steve the manager was so helpful and accommodating! 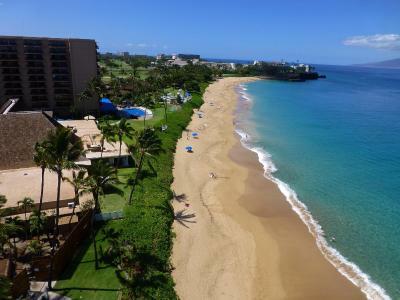 The hotel is located right on the beach. Of course the beach was so beautiful. They offer a free shuttle service to Whalers village. It has Subway store and a pizza place. They have a great restaurant located right on the waterfront. It is called Monkey pod. Happy hour is from 330pm until 5pm. Live music. Really nice. Location and the beach were great. 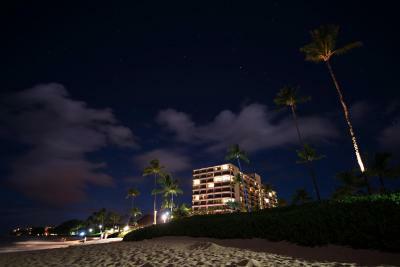 The resort was clean and staff were friendly. The store and the coffee shop were my worth visiting. From the moment we arrived we dealt with outstanding personnel. It started with Hohn at check in, continued through the Bellman services to the restaurant employees and the consierge. The only issue we had was the daily need to request washcloths as none were ever automatically provided during our seven night stay. We thought this to be very curious. The open feel, the serenity and the contact with nature, yet the ease of all amenities. 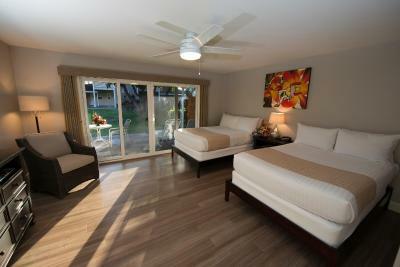 The bungalows are amazing! 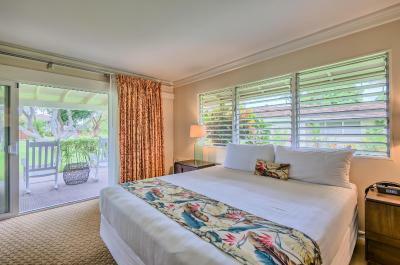 Royal Lahaina Resort This rating is a reflection of how the property compares to the industry standard when it comes to price, facilities and services available. It's based on a self-evaluation by the property. Use this rating to help choose your stay! 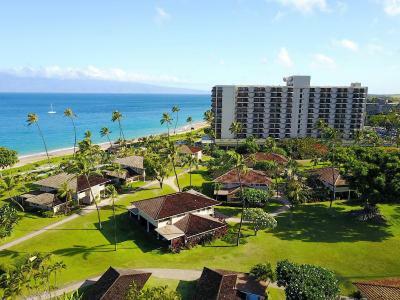 One of our top picks in Lahaina.Nestled on an exclusive 2,400 feet stretch of Kaanapali Beach, the Royal Lahaina Resort is located within the Kaanapali Resort complex in Lahaina, Hawaii. 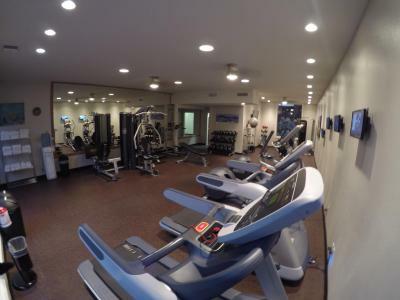 This resort offers 3 outdoor pools, a hot tub, and a fitness center. 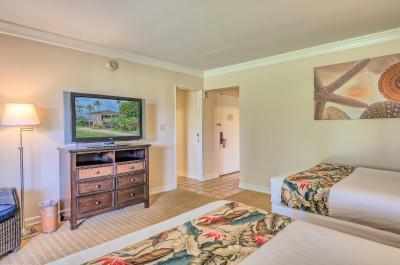 Free WiFi and a TV with cable channels are featured in each guest room at Royal Lahaina Resort. 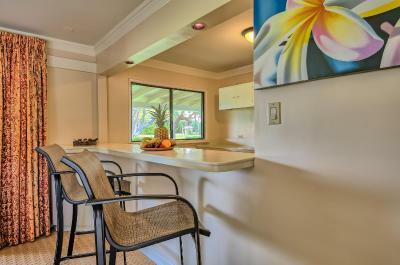 A coffee machine is provided in all of the air-conditioned accommodations. 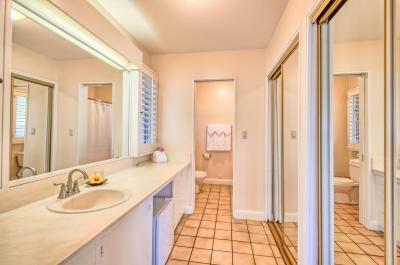 All rooms with attached bathroom include toiletries. 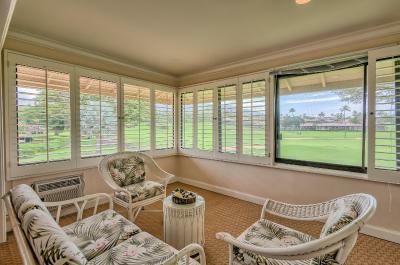 Guests at Royal Lahaina Resort can enjoy dining at the full-service restaurant, an ice cream parlor, and a coffee shop. 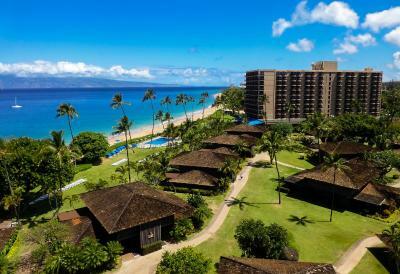 The resort offers flower lei and puka shell making classes and features Hawaiian and Polynesian arts and crafts. Two bars are also available to guests. 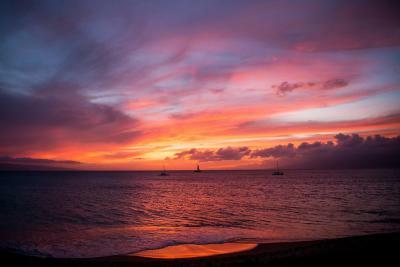 Historic Old Town Lahaina and Lahaina Harbor are 3 mi away from Lahaina Resort. Visit nearby Haleakala Crater and see the sunrise from 1.9 mi above sea level. 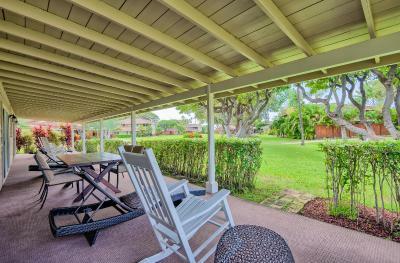 A free guest shuttle is offered to shops and restaurants at Whaler’s Village. 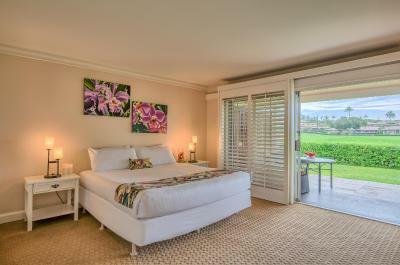 When would you like to stay at Royal Lahaina Resort? This is a run-of-house room. 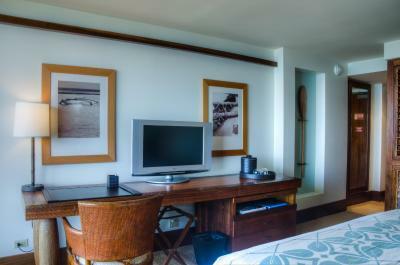 Room type and Bed type preference cannot be guaranteed as it will be allocated upon arrival based on availability. 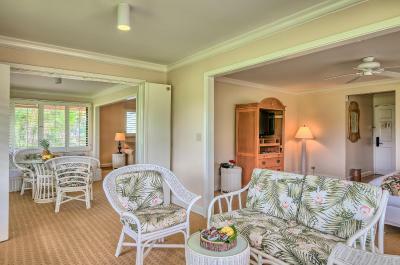 Featuring a partial ocean view and cable TV, each room comes with tea and coffee making facilities and a fridge. 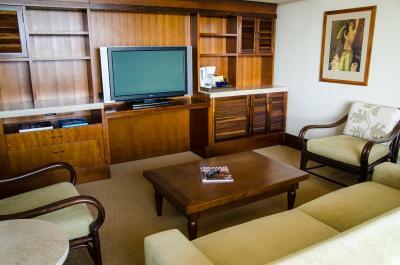 Featuring an ocean view and cable TV, each room comes with tea and coffee making facilities and a fridge. 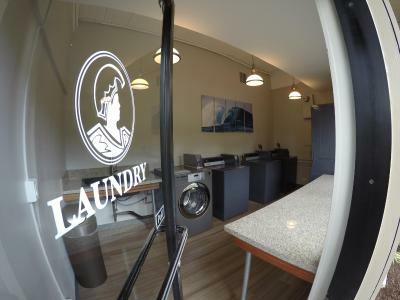 Featuring cable TV, each room comes with tea and coffee making facilities and a fridge. 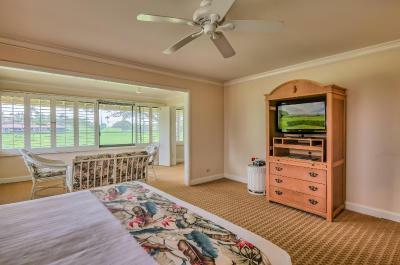 This room features a private balcony and a flat-screen TV. 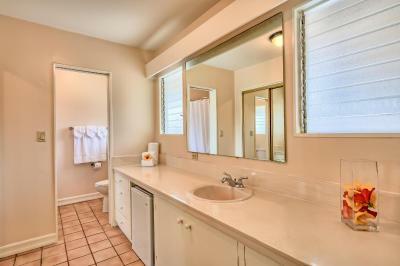 Featuring two balconies, this suite has a kitchenette and two bathrooms. Please note that the room price is based on 4 guests. Maximum occupancy is 6 guests (see Hotel Policies). 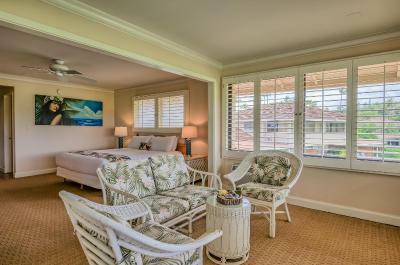 Featuring ocean views and two balconies, this suite has a separate living area, a kitchenette, and two bathrooms. 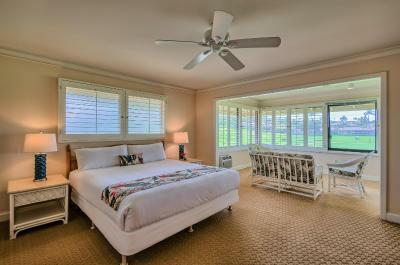 Offering ocean views, this room features a living area and a separate bedroom. 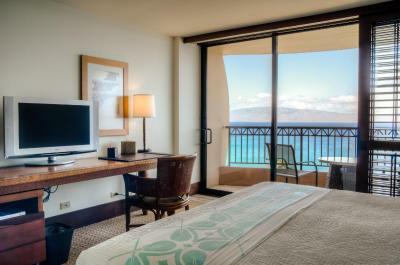 Offering ocean views, this room consists of 2 connected one-bedroom suites. 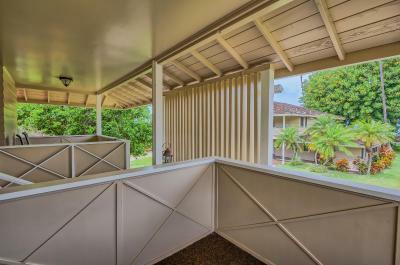 Featuring a spacious balcony, this suite has a separate living area, 2 bedrooms, and 3 bathrooms. 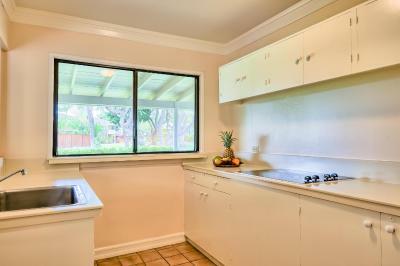 It also has a kitchenette. 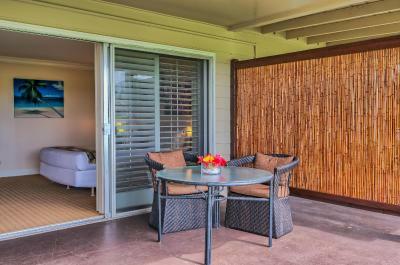 This room features an outdoor patio with a sitting area. 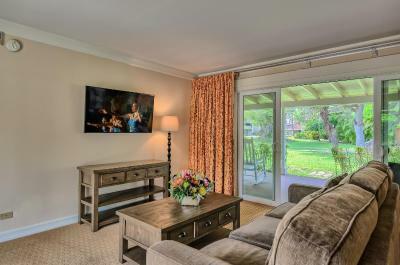 Just a few feet from the ocean, this room features an outdoor patio with a sitting area. 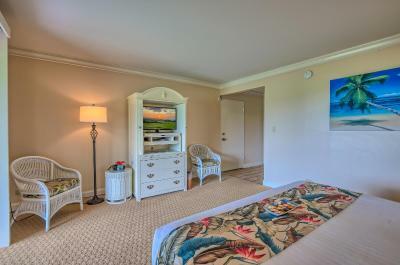 Offering views of the ocean and the island of Molokai, this room features a private balcony and a flat-screen TV. 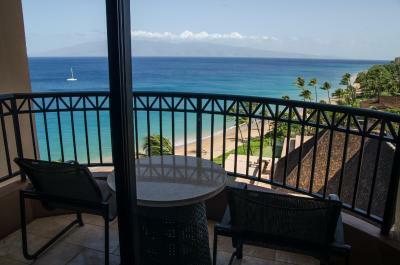 This room features a private balcony with partial ocean views, and a flat-screen cable TV. 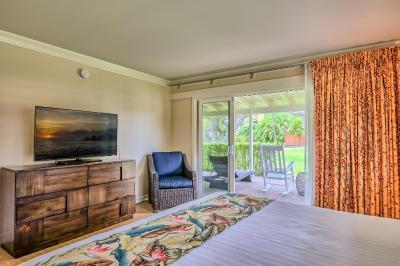 This room features a private terrace with ocean views, and a flat-screen cable TV. 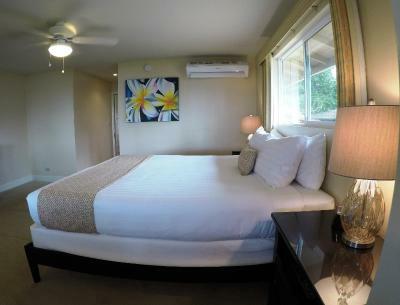 This air-conditioned room features a patio offering panoramic views of the ocean and the Molokai and Lanai islands. 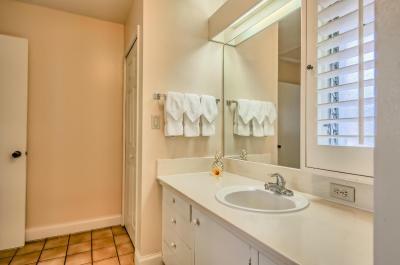 Featuring a partial ocean view and cable TV, each room has a private bathroom, tea and coffee-making facilities and a small refrigerator. 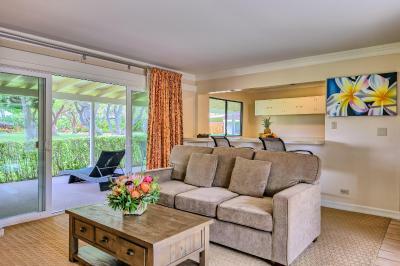 This suite has a seating area, patio and air conditioning. 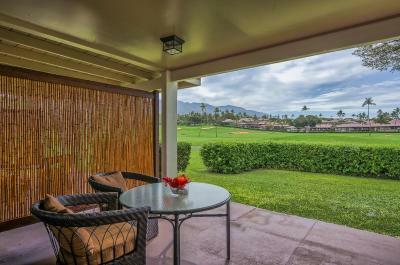 House Rules Royal Lahaina Resort takes special requests – add in the next step! 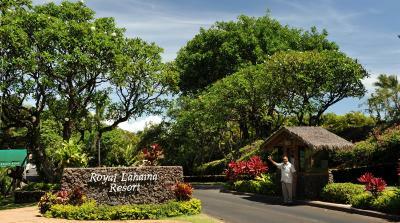 Royal Lahaina Resort accepts these cards and reserves the right to temporarily hold an amount prior to arrival. Please note: There are no resort fees at the property. Just an alternative that was lighter fare with an everyday lower price. We did take advantage of the ice cream shop's lighter morning fare but would have appreciated more lawn seating to enjoy it. Entrance lobby / lounging area was drafty. Walking through restaurant to get to pool. 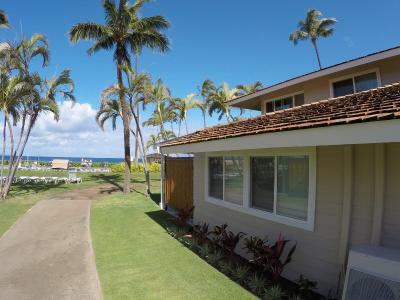 Fabulous location by sandy beach. 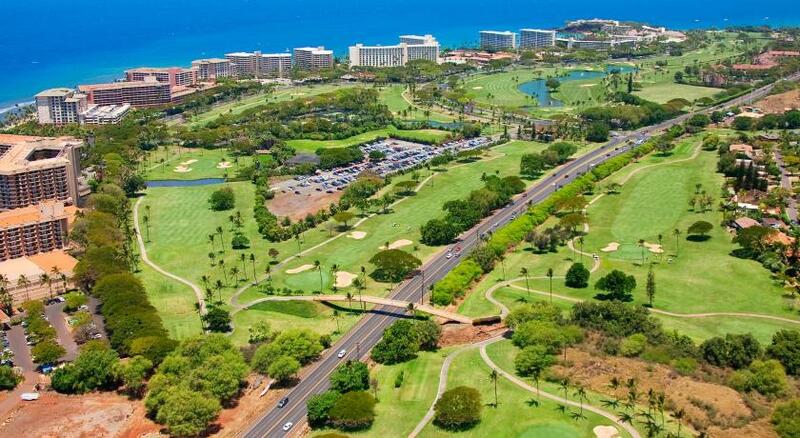 Away from tourist hub but still in walking distance of Ka anapali centre. 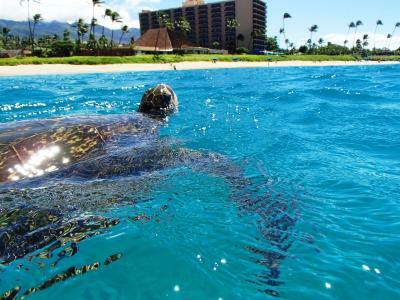 Shuttle buses from hotel to Lahaina and Whalers centre. Near local airport. You can tell it's an older hotel, but most of it has been maintained well. There are definite differences in rooms. 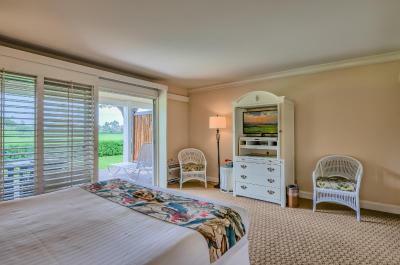 The tower rooms were newer but the cottage rooms were older and needed updating. You can see that some are being renovated, so that's progress.